The String by Hal McIntosh. Born in 1927, McIntosh began his formal studies at the Detroit Art Institute in Detroit, Michigan, and the Toledo Museum of Art in Toledo, Ohio. At age 18, the Art Research Studio (present-day Maitland Art Center) in Maitland, Florida, selected him as the institution's youngest-ever artist in residence. His talent later earned him the Directorship of the Academy of Fine Arts in Lynchburg, Virginia, where he served as a museum director and teacher for five years. As a resident of Central Florida, McIntosh taught at the Loch Haven Art Center in Orlando and ran his own institution known as the McIntosh School in Winter Park for 30 years. McIntosh splits his time between his Cape Cod, Massachusetts, and Winter Park studios. Original painting: McIntosh, Hal. 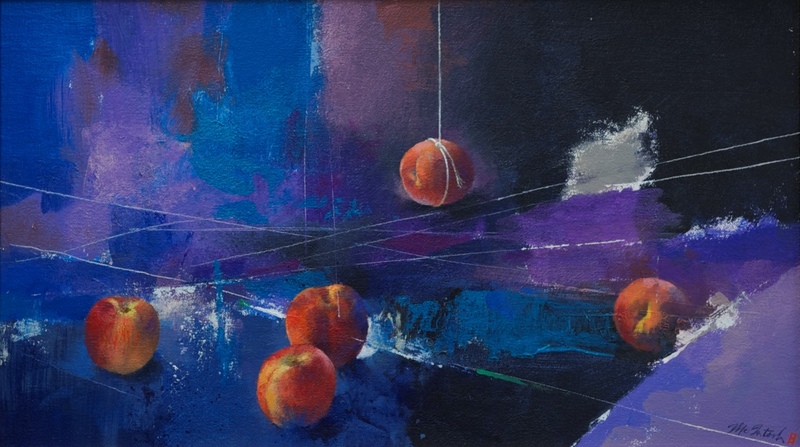 The String (painting): Albin Polasek Museum and Sculpture Gardens, Winter Park, Florida. Digital reproduction of original painting: McIntosh, Hal. The String (painting). Sculpture Gardens, Winter Park, Florida. McIntosh, Hal. 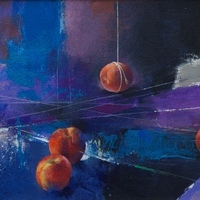 “The String by Hal McIntosh.” RICHES of Central Florida accessed April 22, 2019, https://richesmi.cah.ucf.edu/omeka/items/show/5294.